Destin, Florida was recently named one of the most beautiful places in the US by Good Morning America and the beaches are consistently ranked among the top in the world. There is not a better way to spend your vacation than in a beachfront hotel in Destin. With outrageous views and easy access to enjoyable water sports including deep sea fishing, guests of Destin always leave with a smile on their face. 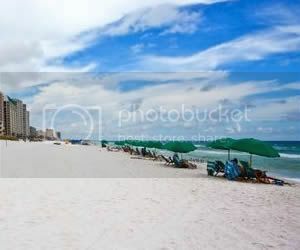 Although this area is home to many beachfront condo rentals, finding a hotel that is truly on the beach can be a task. Now that you have found Florida Beachfront Hotels you have the inside track on locating the best hotels on the beach in Destin. If you are looking for the best beaches, amazing deep sea fishing, world class golf, outstanding seafood, and the nation's largest designer outlet mall, be sure to plan our next Florida beach vacation to Destin. With only a few locations on the beach, Destin can be a little pricey during the peak summer season. An affordable option that still features the beautiful white sand and vibrant green water is the Four Points by Sheraton located on Okaloosa Island in Fort Walton Beach. This beachfront hotel is only 10 minutes west of Destin and offers the same quality of beaches and amenities of it’s more pricey peer to the east. Recently renovated and packed with amenities, the Four Points is where you want to be. Walk to the Gulfarium, the Okaloosa Island Pier, and an entertainment destination the Board Walk. An experience like no other awaits you at the Hilton Sandestin Beach and & Golf Resort. 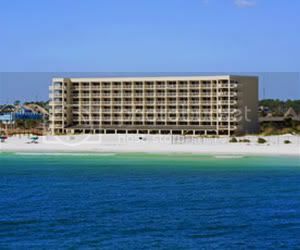 Beachfront just east of Destin, this world known luxury resort offers the best of Florida. Positioned between the Gulf of Mexico and the Choctawhatchee Bay, the lifestyle and amenities here are unsurpassed along the coast. Enjoy the sugar white sand beaches, water sports, biking, tennis, fishing, live entertainment, shopping, dining, nightlife, and so much more all on-site. Park your car and plan to kick back and relax. The Sandestin Hilton is also one of the top Golf resorts in Florida, featuring four on-site courses. The Holiday Inn on the Beach in Destin is currently undergoing a massive renovation. The Holiday Inn is the only hotel in the heart of town so we decided to highlight the near by Holiday Inn located on Okaloosa Island in Fort Walton Beach. This beachfront Hotel is only 15 minutes from Destin and still features the stunning sugar white beach sand and crystal clear Emerald Green gulf waters. Just like the sister resort located in Destin this Holiday Inn is ideal for family beach vacations and it's abundance of amenities will keep everyone entertained for the duration of your vacation. Book now before they sell out!